Music groups, singing and fun for babies, toddlers and pre-school children with their parents and carers in and around Cambridge! I started my Musical Bumps career in 2012 and am very excited to be bringing the classes to my hometown. I trained at RADA as an actress and singer and have since spent time travelling and living abroad and having my two children Gabriel and Sollie. Since 2007 I have loved working in a local preschool but was ready for a new challenge. I have always been involved in music and singing (often with small children), so this is the perfect career choice for me. I am completely inspired by Musical Bumps ideas and music. 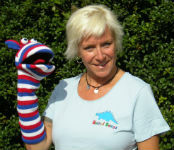 Our classes are fun and structured to develop not just musical but communication and language skills, and much much more. There are several classes planned for different age groups in Cambridge and Sawston. Please call me if you are interested in finding out more, and we can arrange a free trial class. GDPR compliance form. To ensure that we comply with new regulations, all current and newly registering customers need to complete this form. Musical Bumps Cambridge can create a bespoke programme of learning for your school or nursery’s specific needs. From one-off workshops or parties, clubs and choirs right through to a full music curriculum for EYFS and KS1, you can rely on Musical Bumps to provide stimulating, ambitious, practical and musical classes and clubs! For special offers, local chat and news and a great way to keep in touch, find us on Facebook!